Food is one of the basic necessities of humans. Without food no living things, including humans, are able to survive. So food is not only the basic necessity of humans and other living things, but it is also essential for sustainability of society. Therefore, it is vital to produce of sufficient food to feed the world. The storage and distribution of food is equally important. One of the major issues associated with food consumption among humans is the wastage of food. It is estimated that about 50% of the food produced in the United States is wasted. Which means about 2 billion tons of food produced never reach the human stomachs due to storage, bad practice of harvesting, transportation and market and consumption wastage, in the USA alone. It is also estimated that about 40% of all household food is wasted, which is over 165 billion dollars worth of food which could easily feed several other families for years. There are also other resources associated with wasted food, such as energy, water, fertilizers and land, which is also wasted. So, when food stuff goes to waste, it becomes a serious wastage of resources, which has a long term negative global impact. As the population is increasing; there will be more mouths to feed. United Nations estimates that by 2075 the human population in the world will peak to a 9.5 billion, meaning there will be 3 billion more mouths to feed globally. The demand for water for cooking could reach up to 10-13 trillion cubic meters annually. We will also face other consequences associated with this added population. We also expect to see significant changes in eating habits, calorific food intake, wealth and economy, political and environmental conditions of the developing nations. Why 50% of the food is wasted? I am sure many of us are guilty of wasting food. Whether we keep in the fridge too long and finally throw them away when they expire or we leave too much food to waste in the restaurants. We also buy stuff that we don’t need, which eventually gets thrown. There are many reasons why the food produced is wasted. To address the problem we need to identify the problem first. Let us analyze what causes the food to get thrown away or never to reach the stomach of a human being. A large number of fruits and vegetables are thrown away form grocery stores. It makes a large portion of the wasted food. Some stores have also blamed the government’s policy of strict expiry date. Consumers often leave food after eating which is thrown away as uneaten food. Unsold food in the restaurants and unfinished meals also get thrown away, and the restaurants preparing large meals, or over estimating the number of guests are also to blame for it. Sometimes food will be unsold because of lack of marketing, promotions, or high prices. Food being out of the buying powers of regular consumers, and so on are also unsold and wasted. If the food is not managed properly, it is more likely to get wasted. The food which is not packaged or stored properly will become food wasted. For every conscious human being who care about the sustainability of our environment and want to reduce the carbon footprint and should work towards minimizing the amount of food wasted from the food chain every year. Just like doing little things to conserve energy and changing our habits to reduce the negative global impacts, we can also make minor changes to reduce food wastage. If you buy food more that what you can eat, your food will get thrown. f you buy excessive amount of food continuously, you need to plan and manage your food better. By shopping smart and taking advantage of sales and deals, you will be able to save both money and food. This requires you to make shopping lists, make estimates and lists of what you can eat and what you might need for a period of time. If you want to reduce wastage, you need to eat what you buy. This is as simple as it sounds. You need to have a good estimate of what you are going to eat, the number of meals, the days and what you will be eating throughout the week. It also requires that you keep track of all the food that you buy. Prioritize the food that you need to eat quickly and the food that can be kept for a while. If you have food like raw meat, fish, leafy green etc. which spoil quickly, you need to eat them first. You also need to be careful not to prepare too much food that gets thrown as left over. All food in your kitchen needs to be kept safe and fresh as long as possible. Your kitchen should be well organized and clean so that there are fewer attacks by insects, and mold. All food should be kept properly in proper places. You should also organize food according to the needs. Fruits: Apples, grapes, oranges, berries, etc. inside the fridge. Fruits like watermelon, avocado, plums, peaches, pears and such can be kept outside the fridge until they are ripe. Eggs: the best way to store eggs is to keep them in their box or carton and keep them on the shelf, not the door. Milk & Dairy: store in a cool place, at the bottom shelf or towards the end of the shelf. Again the door should be avoided because the door temperature may fluctuate. Meat & Fish: Sore in the coolest part of the fridge, cook within a few days. Understanding the dates on the food is also important. Most food have markings on them such as best eaten before, best sold by, expires on etc. however, they all do not mean the same thing. These dates are not supervised or regulated by FDA, and are guidelines by manufacturers to ensure peak quality of the food. If you have some food reaching the expiry date, keep it in the freezer the preserve it longer. 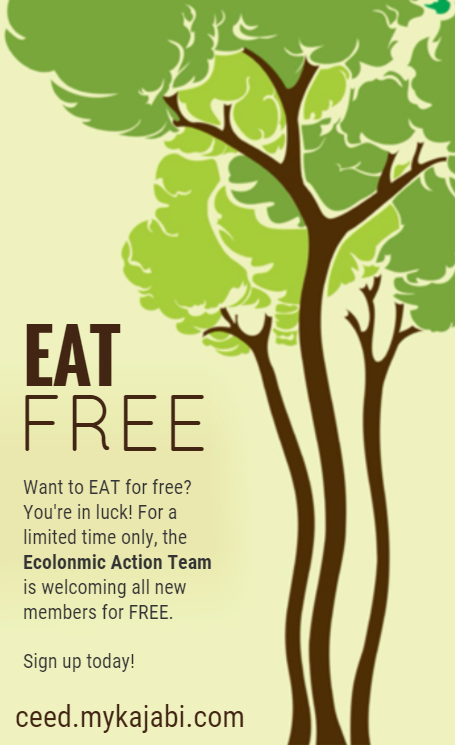 It is better to feed a guest or friend instead of throwing food away to landfills. You can donate food to people or convert leftover food into compost for your home garden. Food can be preserved longer if proper canning, drying, freezing and other preservation methods are used, and food can be kept for a longer period of time. Food can be canned by placing food in a metal container and sealing the lead. The food can be heated to kill the germs and can be preserved for a longer period of time in metal, airtight containers or jars. There are two types of canning most common to food preservation. Water canning: in this method, boiling water is used in a big container, and airtight jars are stored submerged in boiling water. Pressure canning: in pressure canning, a large airtight container is used to store the jars containing food. Heat is applied to increase the pressure of the container. If we can save some portion of the food we throw away every year, it would be enough to feed several other families around the world. It is important to remember that with every bit of food we waste, we are wasting our money, energy and other resources associated with food production. To ensure sustainability for the future and reduce our carbon footprint issues related to food wastage needs to be addressed today.